easy Veggie Burger recipe | gluten-free, easy, and delicious! 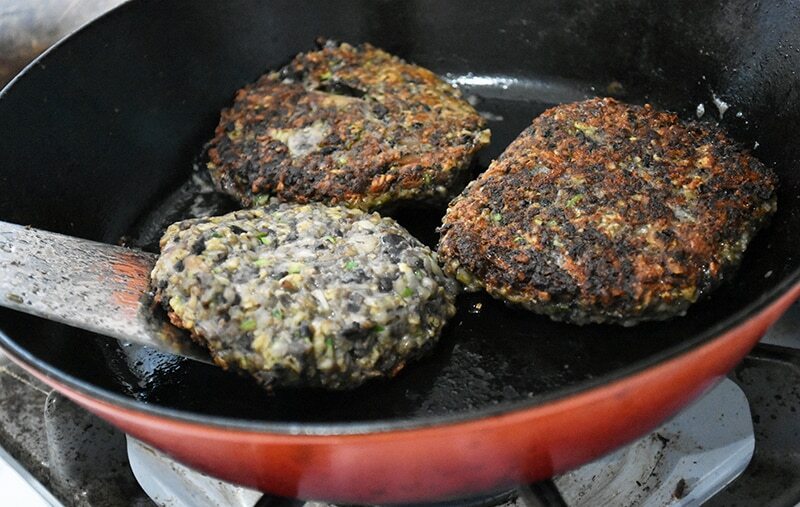 easy Veggie Burgers made with mushrooms, zucchini, and black beans. Gluten-free and full of flavor! Let’s be truthful, veggie burgers don’t excite the general population of burger eaters. Myself included…typically. But this recipe is awesome, easy, delicious and doesn’t contain any soy or gluten. Score! My family loves these and asks for seconds every time. Be warned, however, they are filling (my hubby still bravely eats 2 because he says they are too delicious NOT to)! Levi, my 15 year old, will easily scarf these down with zero hesitation. This is the same kid that asks me to identify every single thing he’s eating. They really are that good. And the texture is brilliant! They fry up and feel very much like ground meat. In fact, I’m willing to bet that your family might not even notice the difference :). Nothing is the same as a real meat burger, true. And we won’t claim these taste just like your favorite hamburger. They don’t. Cause they’re made with veggies. But truth be told, they are utterly delicious and we don’t miss our meat burgers. We make these up and use them the same way we would our meat burgers. Swiss and mushroom as toppings are my personal fave but we find that these shouldn’t have a whole lot of toppings on them. They are good enough all on their own. 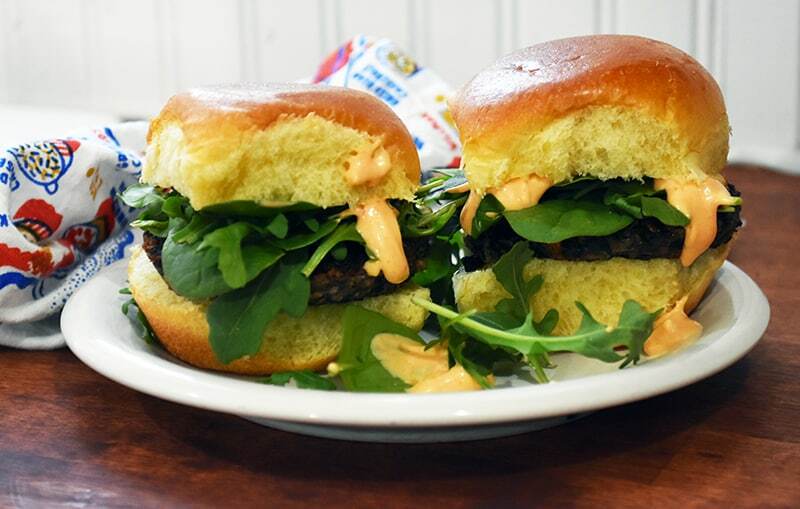 Today I’m sharing my easy veggie burger recipe in the hopes that you give it a try. Let me know if it becomes a family fave on busy weekday nights. P.S….I have some great tips for busy mom’s trying to get family meals on the table! Veggie burgers start with, of course, veggies! 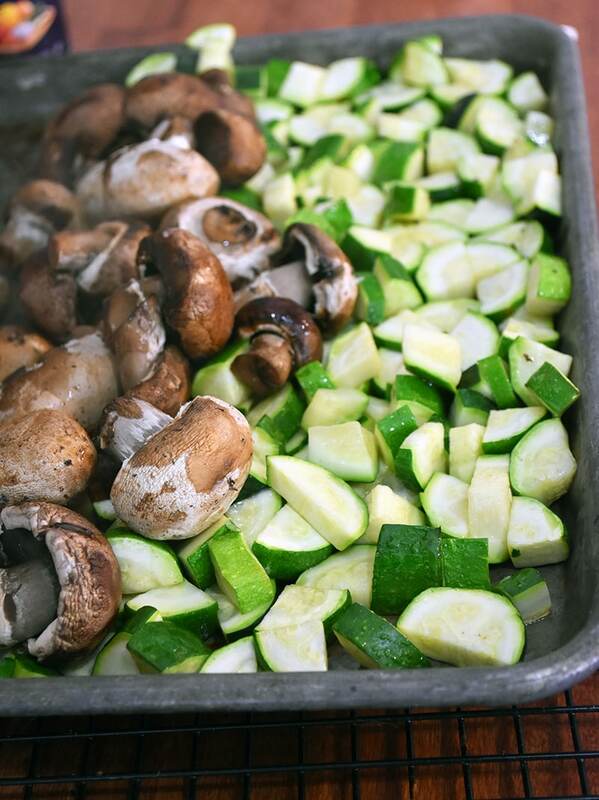 Mushrooms, zucchini, and black beans are the main veggies. 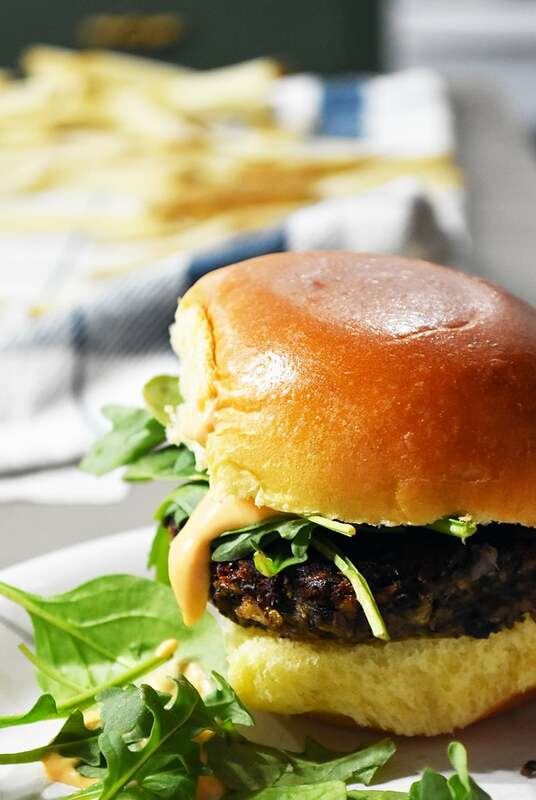 I use 2 different kinds of mushrooms (portabella, and baby bella) to get the rich, hearty flavor that these veggie burgers have. Just like in my mushroom soup, I think a variety of mushrooms helps to deepen the flavor. But, totally feel free to use whatever you can find! Eggs and Parmesan cheese, along with oatmeal, are the binding ingredients. I prefer to use fresh herbs, when I can (who doesn’t! ), but dried herbs are just fine and generally work better (because they don’t add more liquid). 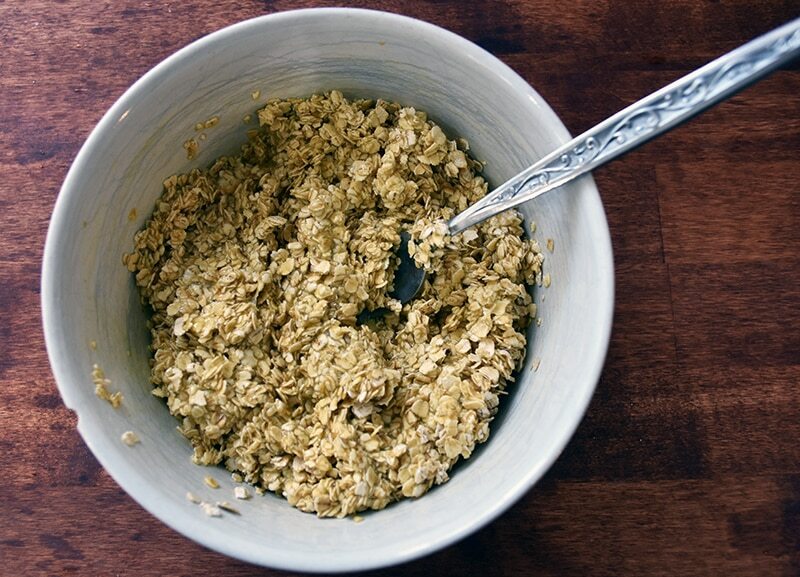 Tip: Mix the oats and eggs together and set aside. The eggs will soften the oats and pull the starch from them…it will work so much better! 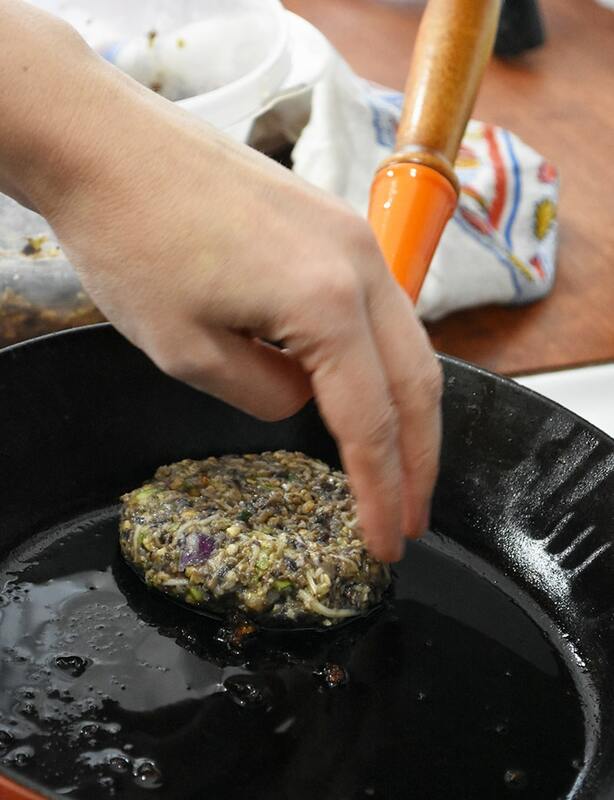 Form the burgers into a patty about 2 inches or 2 1/2 inches in diameter and about 1/2 an inch thick. Going too big makes it difficult to flip these without them breaking apart. Cook for about 4 minutes on each side. Use a great starch as the binder. Try oats or brown rice (I prefer oats for most of my meat mixtures). Breadcrumbs work great if you don’t need gluten-free. Use dried herbs instead of fresh so you don’t add more liquid to the mix. I often sub out the seasoning salt for dried fennel and coriander. Vegan option: swap out 1 egg for 1/4 cup blended silken tofu. Grilling: use an aluminum “tent” over veggie burgers to help them not dry out (you basically steam them). 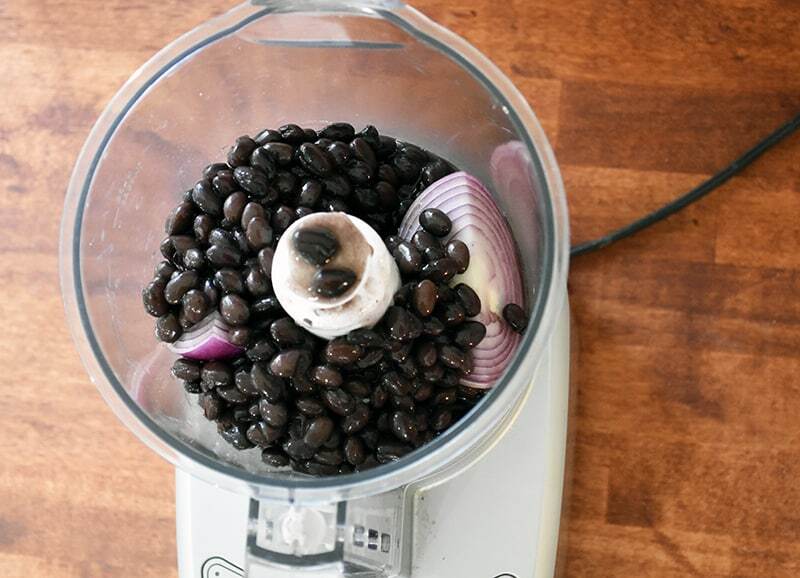 When using beans or legumes, be sure they are pre-cooked. Canned is just the easiest. Roast your veggies prior to cutting. Extra moisture is a bad thing in veggie burgers and will cook out when roasted. Don’t skip the seasonings. Blandness is the death of veggie burgers. Season well. Simple seasoning salt works great. Mix beaten eggs and oats together, set aside. 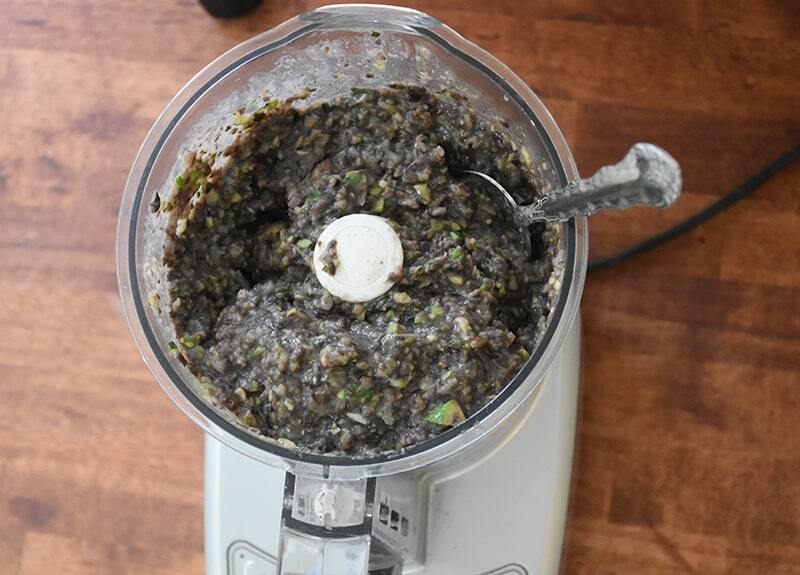 Place zucchini, beans, mushrooms, and onion in food processor or blender and blend smooth. Gently roll into 2 inch to 2 1/2 inch diameter patties (about 1/2 inch thick) and place into hot oiled pan at medium-high heat. Cook for 4 minutes on each side at med-high heat. 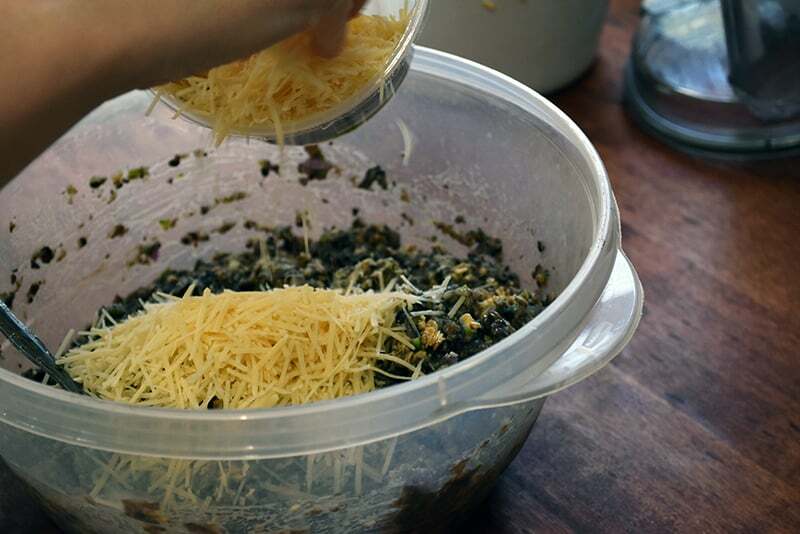 I often make half of the recipe, save the mixture and make the other half the next day. This also makes for fantastic meatballs! 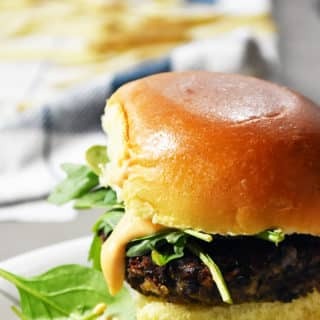 Love black bean burgers, looks fantastic! Thanks, Michelle! Definitely worth a try; the 3 types of mushrooms really makes these stand out!